Millwall have signed Tottenham Hotspur winger Andros Townsend on loan until the end of the season. The 19-year-old is a graduate of the academy at White Hart Lane and made his Spurs debut in the 3-0 FA Cup win over Charlton in January. 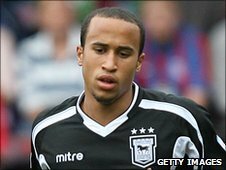 Townsend has already had spells on loan with Championship sides Ipswich and Watford this season. He goes straight into the Millwall squad for Tuesday's visit of Queens Park Rangers.